Mario is the main character of the game. He starts his quest because Bowser kidnaps Princess Toadstool while she is at Mario's Pad. However things take a turn for the worst when Bowser's Keep becomes unassailable because a giant sword has penetrated the castle and destroyed the bridge. Mallow is first seen chasing a crocodile named Croco around Mushroom Kingdom. Croco had stolen Mallow's Frog Coin that he received from his grandfather. Mario agrees to help Mallow get it back, and Mallow joins Mario's quest from there. Geno is a spirit from Star Road who takes over the body of Gaz's doll named Geno. He requests Mario's help in repairing Star Road, and joins the party. 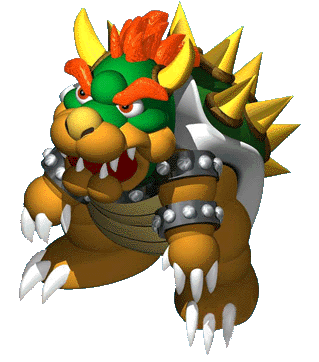 Although they are usually enemies, Bowser joins Mario's party when they both have a common goal to defeat Booster and take back Princess Toadstool. After being rescued from Booster's Tower, she sneaks out of her room in Mushroom Kingdom and joins Mario because she doesn't want to wait around to be saved. This page was last edited on 26 April 2015, at 00:07.